Please fill in the short form below with your question, either about the Koden MDC-2000 Series Radar, or for some technical advice. Please include details of your vessel if you feel they will help us answer your query. 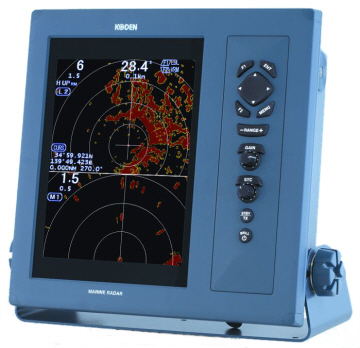 The Koden MDC-2000 series radar comes complete with a 10.4" Colour Display and a choice of a 4kW, 2 Foot Radome or an Open Scanner. The MDC-2000 series features TrueTrail which shows the exact movements of other vessels by drawing trails, while land and buoys are shown as stationery objects even while your vessel is moving, making it easier to distinguish between moving and stationary objects. Features Dual Range Display. 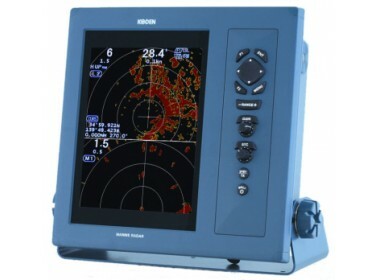 2 radar ranges are simultaneously shown on 1 display e.g. one half can be set to 3nm and the other set to 0.75nm for a close quarter navigation. With a clear long and short range picture this increases the users safety. Automatic Tracking Aid (ATA) is an optional extra and can tack up to 50 targets. AIS can also be fitted as an optional extra and when connected to an AIS receiver details of up to 100 vessels equipped with AIS can be displayed.